So, we’ve been working at this whole “homeschool” thing going on three years now, so I think it’s safe to say I’ve got it all figured out!! YUP, you read that right I’m now the homeschool expert…………………….. Okay, who am I kidding let’s take a step back into reality now. I’m just like you, I’m still figuring it all out as I go along. Now, I will say that through trial and error and from wisdom from great friends and of course first and foremost through prayer I have learned A LOT!! In all honesty I think that homeschool, just like parenting, is something that we will all always be learning to do. “Perfecting” our techniques, learning to lighten up, realizing what the important things are. 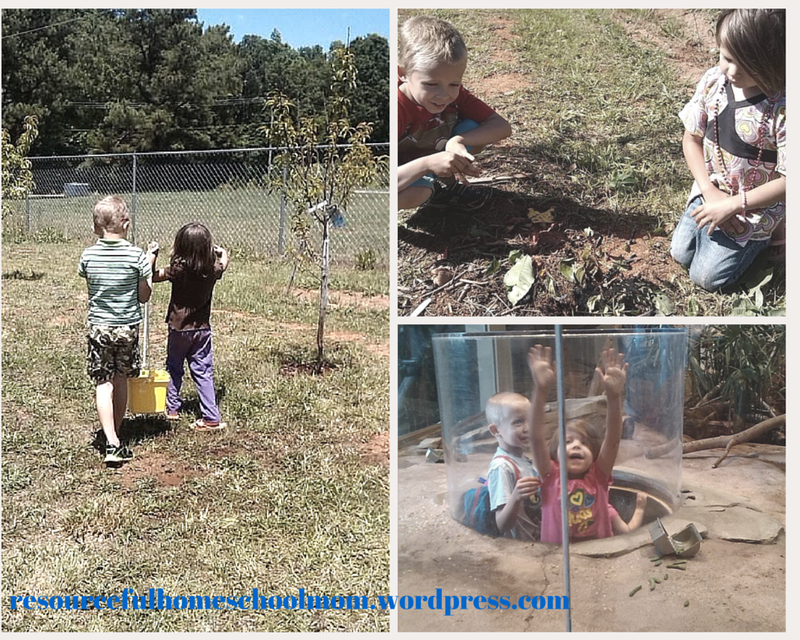 But I just want to share with you what our homeschool really looks like and what I’ve learned in these couple of years. In all honesty, it’s always different. Seriously though, no two days are the same. Some days are super hard… I mean, really, really hard. The kids didn’t sleep well, nor did I, the meal I fixed for breakfast isn’t what anyone wanted, every one has a bad attitude and don’t forget the “mommy, she took my chair” argument we often hear. But, in the midst of the chaos we do manage to have a wonderful productive day most of the time and school does get completed it may not have been done as planned, but, it’s done. Snuggles in the bed before nap time make up for sleepy attitudes, that breakfast that no one wanted is forgotten and the love between sisters is nothing a taken chair can change, and a big brother reading the story to everyone makes everything all right in the world for a while. Then, you have those days no matter how few and far between they do happen and everything does pretty much go to plan. The one thing I have learned is to relax, they will learn the things we need to teach them. They will get it, they really will. I have learned that if they want to use a crayon instead of a pencil who cares… and yes, I really did insist the first year that every worksheet be done in pencil (no fun!!) but thankfully I got over that. I also learned that it really doesn’t matter where school is done, if they want to go outside instead of learning at the dining room table then go outside, enjoy the beautiful sunshine God gave to you and sit outside and do school. 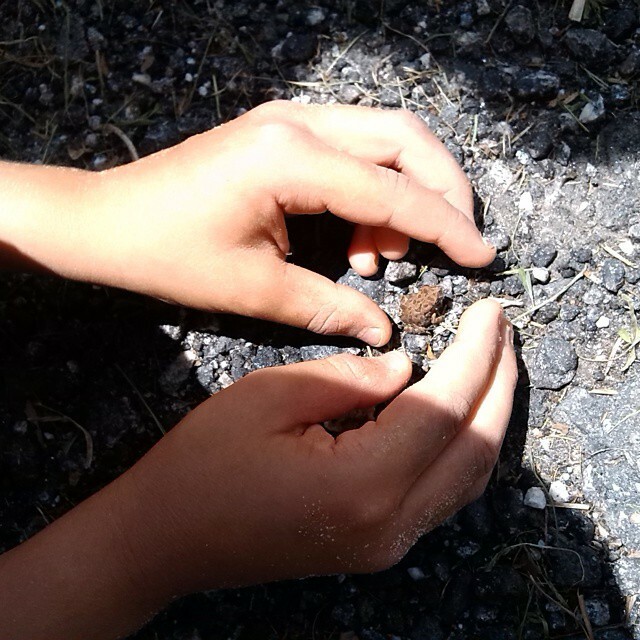 There are days when we follow the curriculum to a tee and then there are other days where we forget the curriculum and just learn what the kids are interested in. Often times you can learn so much more when you allow for a little wiggle room, when a child is interested they will retain that information, and if you’re concerned that they are missing out on math while hunting for bugs have them count the legs on the bugs and figure out how many bugs they would have to collect to get to 100 legs or something fun like that, it doesn’t have to be complicated. There are days where we all sit and do school together and then there are times when someone wants some space and time to themselves and on those days I give them that space, I give them work they can do independently and let them enjoy some peace and quiet. Some days school may mean going outside and learning how to take care of the garden and using teamwork to water all the fruit trees and discuss how they grow and even measuring to see how much they have grown since you got them. It may mean daddy teaching you how to light a campfire and make a meal together over the fire and learning fire safety, and then, there are days where field trips to go check out some pretty cool looking animals and learn about where they live and what foods they eat is just an absolute must!! Homeschool can look like so many different things to so many people so, in your own homeschool journey just remember to love on your kids, teach them what’s truly important and most of all make it FUN!! What is your homeschool like? I would love to hear about your fun homeschool adventures, comment and let me know about all the fun you have! I wanted to chime in today with a little update about the laundry soap recipe I tried!!! To say that we LOVE this stuff is a complete understatement, not only has it lasted forever I have been using it for almost a whole month now (remember we’re a family of 6 so we have a TON of laundry) and you can hardly tell it’s even been used, I still have a huge 5 gallon bucket almost completely full of it!! But, it also smells so amazing matter of fact, I had some **clean** laundry that stayed in the basket all week (Don’t judge you know you’ve done that before too) but my hubby grabbed a shirt of his from the basket and it still smelled like it had just come out of the wash, it kept that incredible smell he said he couldn’t quit smelling it :-D!! All of it was like that, there is nothing quite like wearing clothes that smell like that aaahhhhh so refreshing!! But, now to answer the question I’m sure you’re wondering…… Does it get the clothes clean? Well, I’ll just say this yesterday Justin put on some of his shorts these shorts are some he has had for a couple years, they are the one’s he wears when he’s doing the “dirty work” they have gotten muddy and greasy and any other messy that you can think of, and looked really stained and dingy no matter how many times I washed them. Well, yesterday he said, look at what the detergent did to these shorts, they look so good. These shorts had no stains and didn’t look dingy anymore, I think I’d say that’s a win!! We also have tons of red clay in our yard which is horrible to get out of clothes but this laundry soap gets them out. Can you tell how excited I am!!! Welcome to adulthood I’m so excited about clean laundry haha!! So, I definitely encourage you to try this out! !